As a boy, filmmaker James Cameron dreamed of a journey to the deepest part of the ocean. This film is the dramatic fulfillment of that dream. It chronicles Cameron’s solo dive to the depths of the Mariana Trench—nearly seven miles beneath the ocean’s surface—piloting a submersible he designed himself. The risks were astounding. The footage is breathtaking. 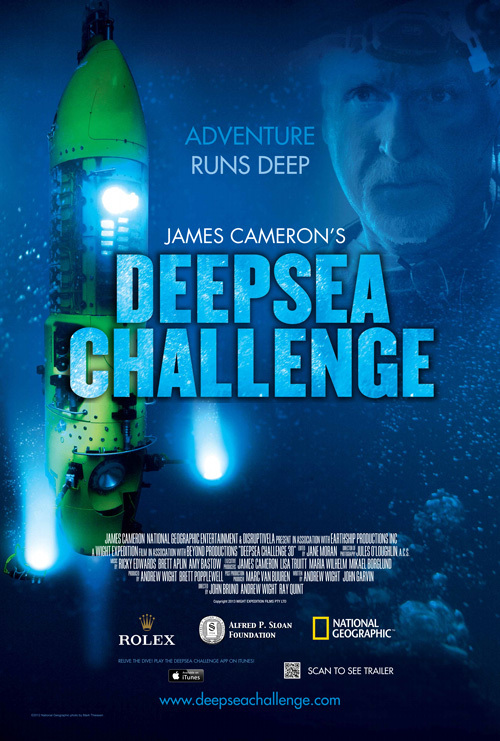 JAMES CAMERON’S DEEPSEA CHALLENGE is a celebration of science, courage, and extraordinary human aspiration.